The influence of huge campaign contributions from the fossil fuel industry in the 2016 elections will push Congress, the White House, and Oregon state agencies to allow this zombie pipeline project to come back from the dead. In December 2016, Veresen announced that they planned to try again and in January 2017, started the pre-filing process to ask FERC to consider the Jordan Cove Liquefied Natural Gas (LNG) export project again. This 233 mile pipeline and fracked gas export project would trample the rights of landowners through use of eminent domain, disturb tribal territories and burial grounds, threaten 400 waterways, put existing jobs in fishing, tourism, and other sectors at risk, drive up energy prices, and create a major new source of climate pollution. 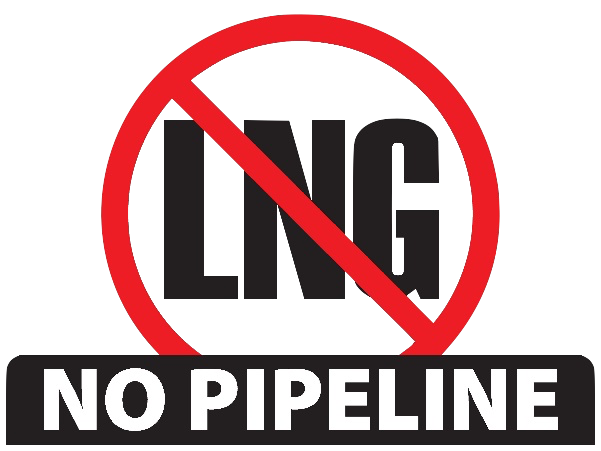 The campaign to stop the proposed LNG Pipeline through southern Oregon is comprised of landowners, businesses, climate and conservation groups, native tribes, and concerned residents working together to protect our home from fossil fuel exports and create clean energy jobs instead. What is the Jordan Cove Fracked Gas Pipeline?